I’ve worn a vest or bodywarmer before but never one quite like this. 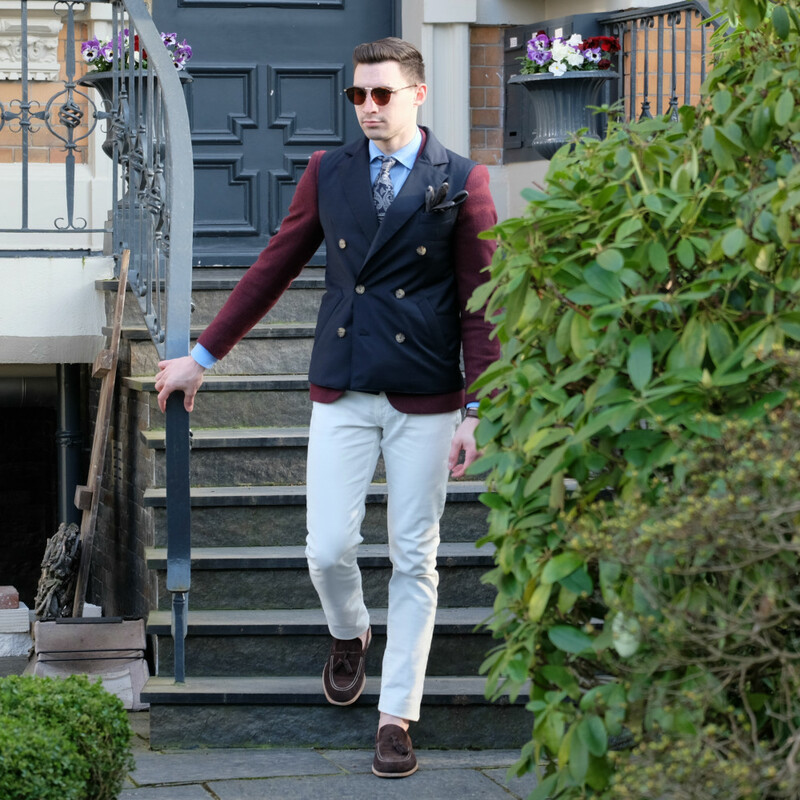 This double breasted bodywarmer from Suit Supply is one of my newest purchases and has instantly become one of my favorite spring pieces. 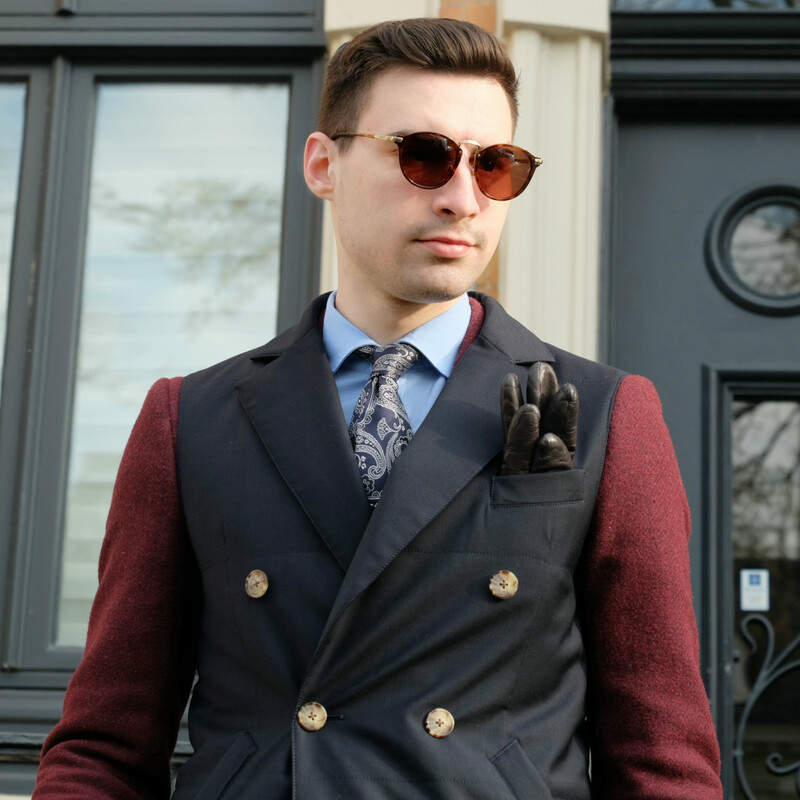 For those of you unfamiliar with Suit Supply, it’s a Dutch menswear brand that specializes in suits and formalwear, but it's not just your average suit brand. They have an amazing selection of modern designs in an array of fabrics and colors. 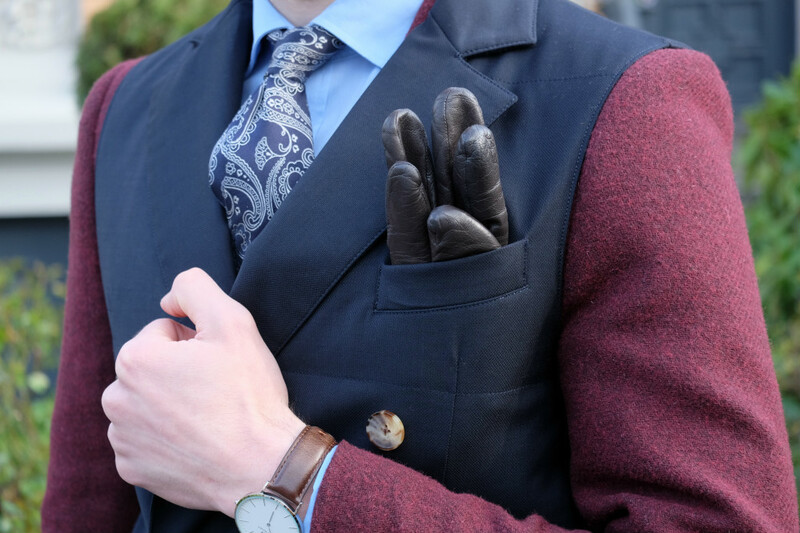 This time I stayed away from the suit section and found this beautiful piece of outerwear. It’s navy blue, it’s double breasted, and it fits perfectly so of course I couldn’t leave without it. I’m sure I’ll be wearing this piece a lot this year but today was the first time I incorporated it into an outfit. 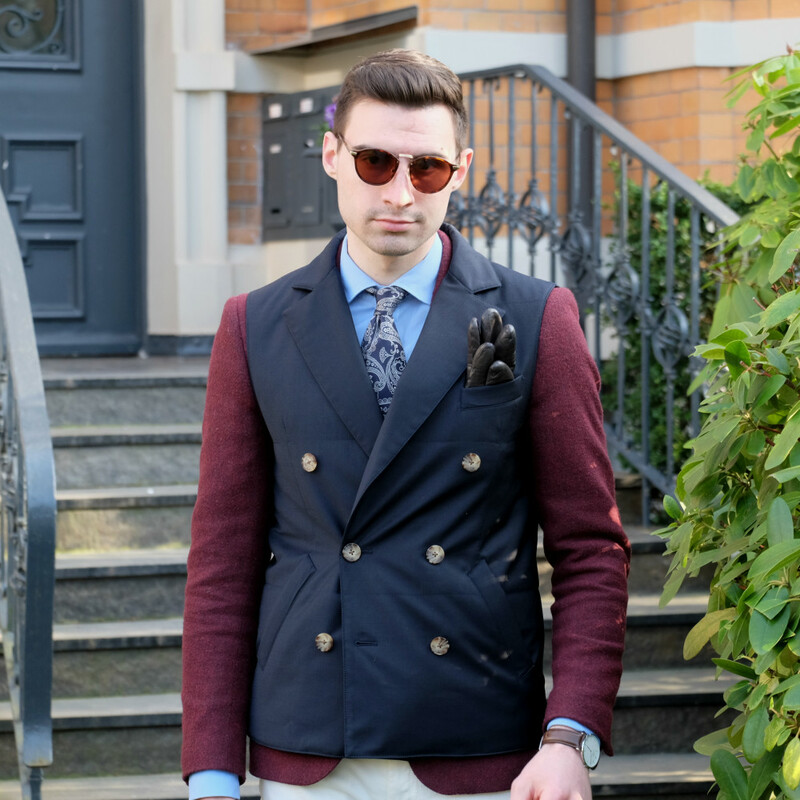 I wore it with a burgundy blazer because I absolutely love the way burgundy and navy look together. 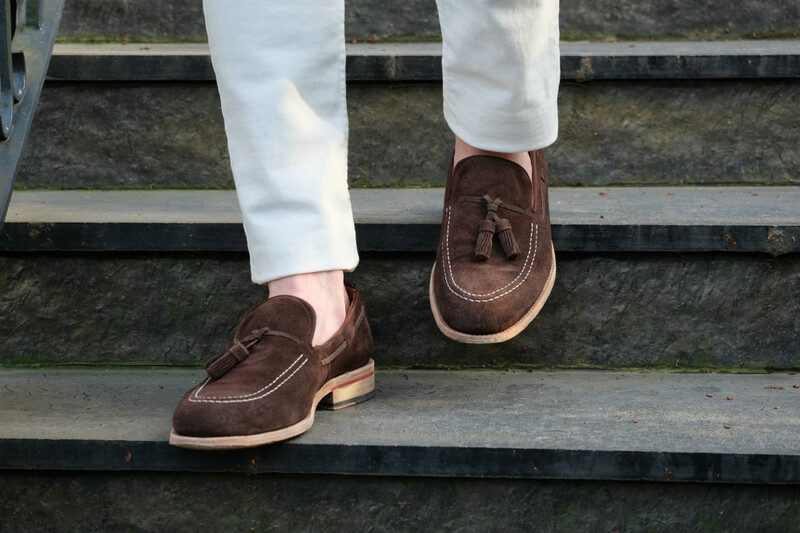 White jeans and of course loafers finished off this early spring look. I’d love to know what you think about this special double breasted bodywarmer. Thanks for reading! You look sleek! Love your shoes and sunglasses. Vest looks great too! Very nice outfit,as always. 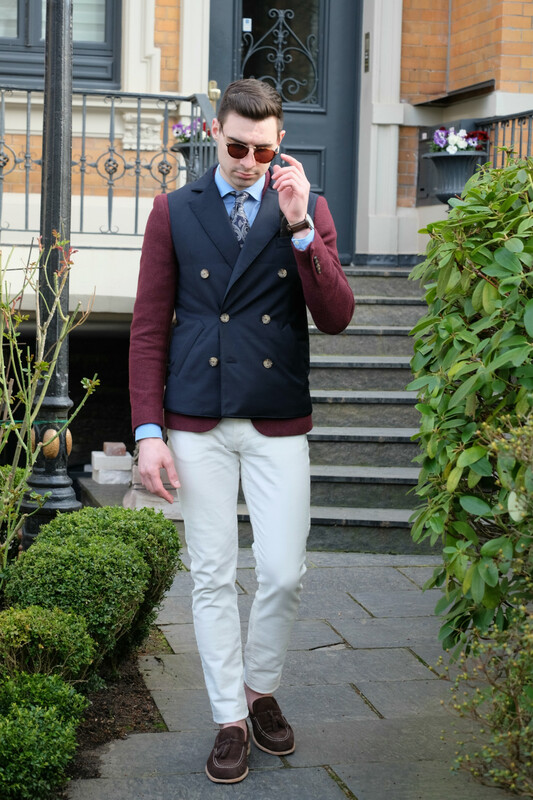 Love that blazer! wow great look! very elegant! 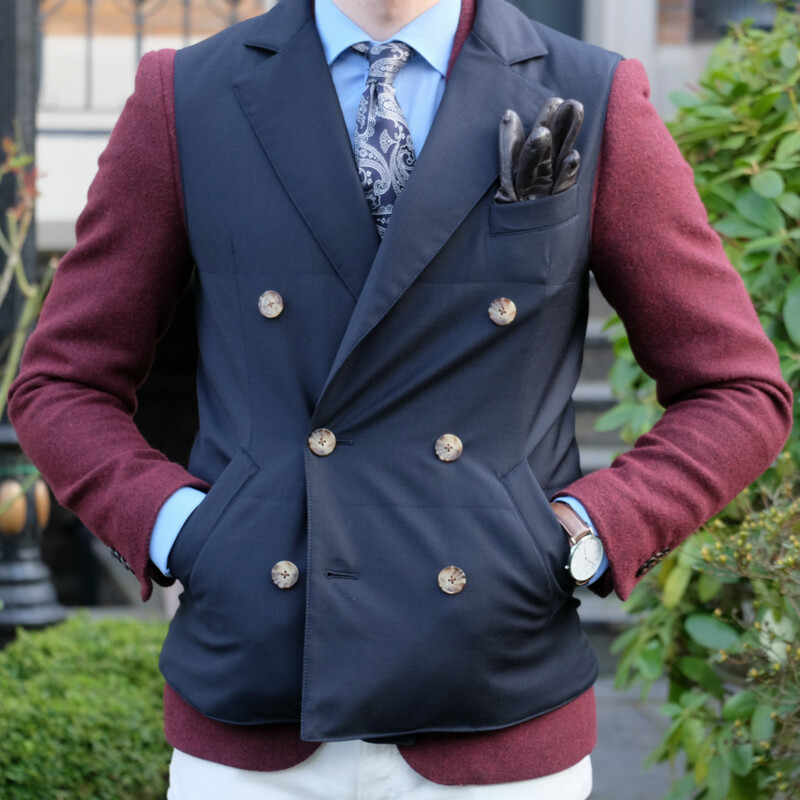 Love the color of your blazer. The vest really grabs your attention too! Have a great day, Justin! 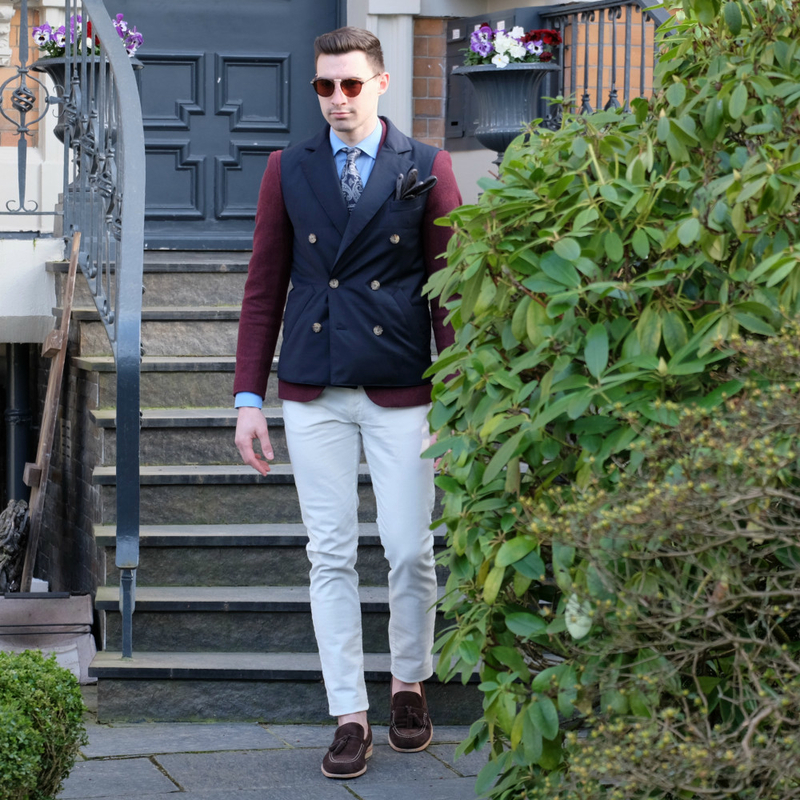 Like the idea of wearing your vest over the blazer. Love the outfit! 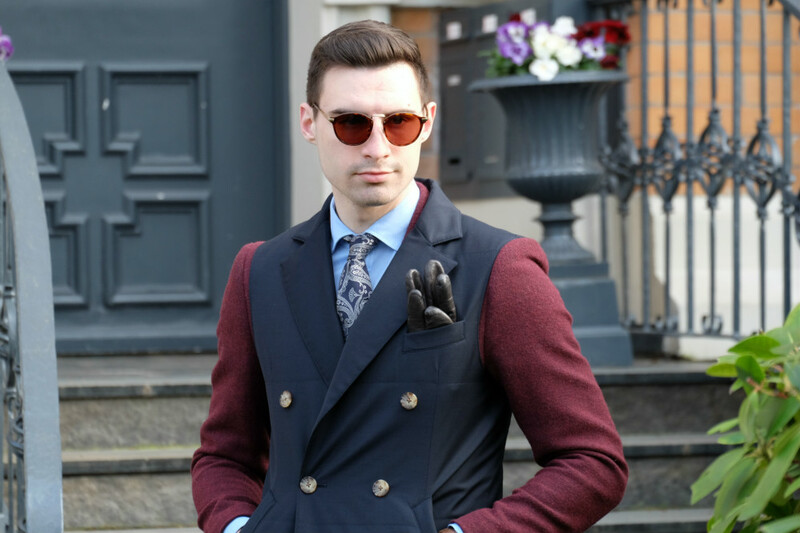 Burgundy and navy blue are so perfect together! 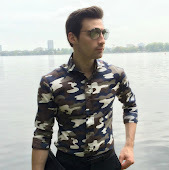 Great look!